For the first time on our blog, I'm happy to share info about the WAND Medical Conditions and Specialties Taxonomy. The WAND Medical Conditions and Specialties Taxonomy covers medical conditions, such as cancer, anemia, disabilities as well as medical specialties such as oncology and cardiology. With highly relevant medical terminology organized into a simple and straightforward hierarchy, this taxonomy is ideal for a hospital or other medical business that wants to help make medical information easy to find for doctors, patients, and other stakeholders. 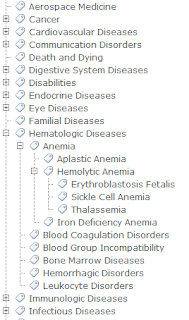 While not as extensive as some medical taxonomies such as ICD 9/10 or Mesh, the WAND Medical Conditions and Specialties Taxonomy is also not nearly as complex as these taxonomies and excels for applications where user interface and ease of use is paramount. 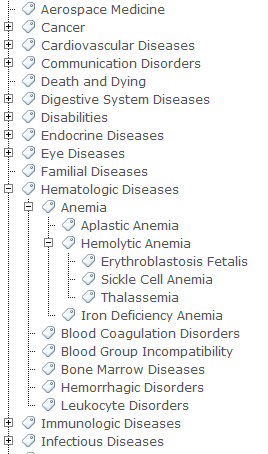 The WAND Medical Conditions and Specialties Taxonomy would be great as a starter taxonomy for a hospital website. Check out the WAND Medical Conditions and Specialties Taxonomy and all of our other taxonomies at our new WAND Within website, featuring leading technology vendors whose technologies can take advantage of any of the taxonomies from WAND.